3 Beds 1 Bath 1,118 Sq. ft. Recently Updated, MOVE IN READY 3/1 in Oak Hill with large bonus room and 1 car carport! New paint, carpet, and kitchen upgrade. 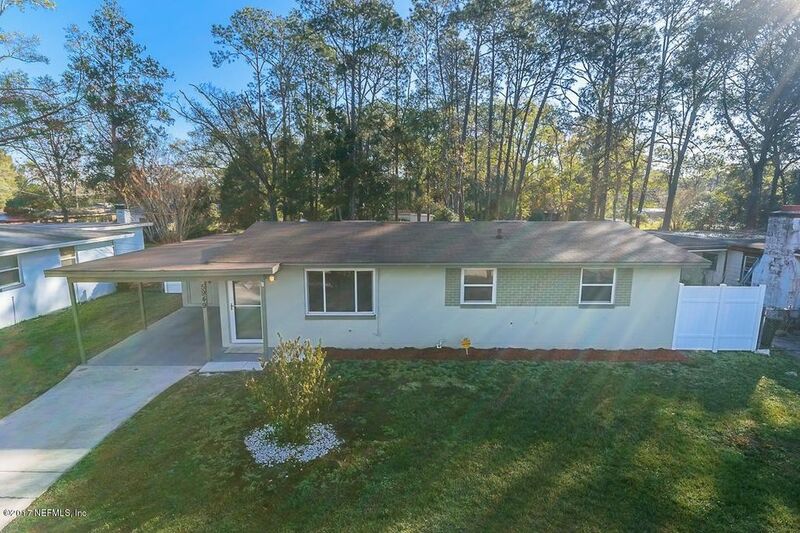 In addition, with updated windows and bathroom, this one is perfect for an owner occupant, or as a turn key rental property. Vacant and easy to show! Property was recently withdrawn from the Market for Rehab, and is now finished and ready to go! Hurry... THIS ONE WILL MOVE QUICKLY! Directions: N-295 - Exit 103rd East - South On Tampico Road - Left On Ensenada.